We not only provide with high quality product, but also offer the lower quotation than production in customers’ own workshop. We carry out total quality management to make sure each machine to get the International standard. Meanwhile through the effective cost control to guarantee the low quotation is beyond the customers’ expectation. During the research and fabrication, we pay attention on reducing the unnecessary maintenance charge and time. The classic innovation saves 30% spare parts and reduces the maintenance and spare part cost. 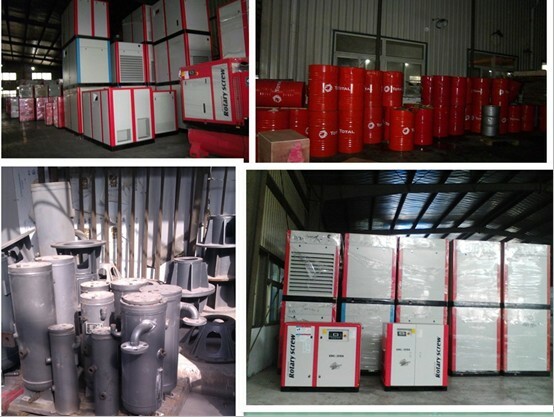 E type compressor itself belongs to the compressed air purification system. In the research, manufacturing process, high efficiency, energy saving, low noise is highly emphasized. At the present, they are regarded as the International green environmental protection products. Company designers design and adjust our machine especially according to customers’ climate characteristics, which increased the cooler area. The high-effective oil and water filter can filter out most of the moisture in the air, which makes the compressed air clean and dry. Customized motor service system coefficient 1.15 can operate under high altitude, alpine environment for a long time. 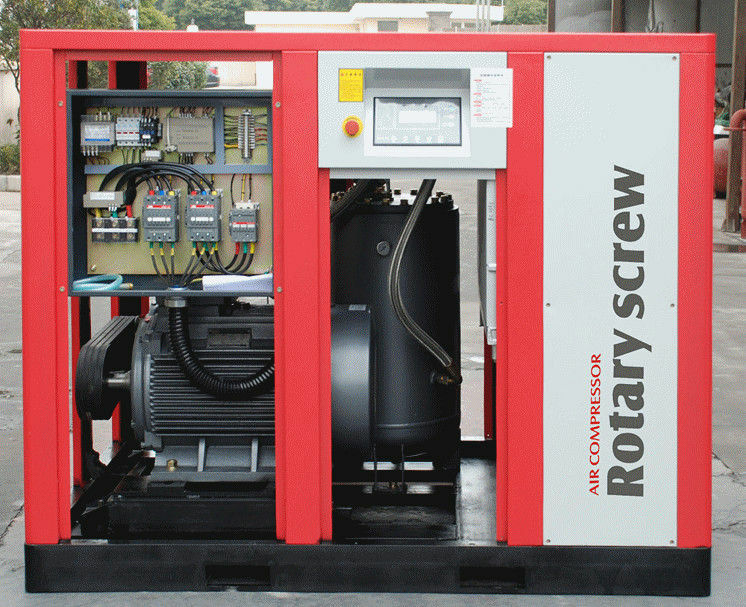 Specially designed intelligent control system combining the unique oil circulating temperature control system, together equipped with high quality screw oil, can start the compressor under -19. C temperature. Machine set adopts intelligent microcomputer control system, embodying powerful fault diagnosis and protection function, which can operate for 24 hours under the unattended condition. If the machine set is out of order, the system will respond according to the different conditions and point out to change the spare parts and make the necessary maintenance on time. The operation is simple: touching the button can help you enter the automatic operation condition. The main machine of the compressor is from Germany, which adopts high-tech Sweden SKF face-to-face installation bearing. All imported control electric appliance components, which boasts the “simply, easy, exquisite, intelligent” four characteristics and stands a stable position in compressor accessories.